This article has been tagged as Needing work due to its lack of organization. Magic Knight Rayearth is a Japanese manga series by CLAMP, serialized in the magazine Nakayoshi from November 1993 to February 1995, followed by a sequel (Magic Knight Rayearth 2) from March 1995 to April 1996. Both manga storylines received an anime adaptation by Tokyo Movie Shinsha, which aired from October 17, 1994 to November 27, 1995. Tokyo Movie Shinsha first enlisted Ocean Studios for the production of a pilot, which was made at some point in early 1995. The pilot used the above name changes, as well as a new opening theme. This pilot was heavily criticized by fans who had the chance of seeing it screened at conventions, as well as by those who had worked on the English adaptation of the Rayearth video game. 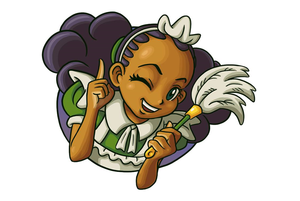 Little is known about the voice cast of this pilot, other than Venus Terzo, who had apparently voiced Hikaru ("Luce"), which was given in an article in America during the production of the pilot. Sarah-Anne Dafoe directed, wrote and was the casting director on the pilot. An entire first season (of at least 13 episodes) was reportedly dubbed as well, through the Summit Media Group, a New York-based company who would later be involved in the production with Pokemon. This dub was pitched to networks such as Fox Kids, and there were hopes to air it in syndication by September 1995. However, due to the lack of interest or buyers, this adaptation fell through and was shelved. It is suspected that the rating flop of Sailor Moon may have played a part in networks not wanting to pick up the series. This dub also used a changed opening theme and the TMS International names for the Knights. After the U.S. rights to Rayearth lapsed a few years later, Media Blasters acquired the rights and produced a new English dub in 1999. This adaptation kept the original Japanese names for the characters. No clips or footage have surfaced of the Ocean pilot, or of the episodes dubbed through Summit Media. However, the Ocean pilot was allegedly screened at FanimeCon 1996. The pilot may have also circulated at other conventions around the same time. It is unknown what may have happened to the tapes of the shelved first season as well, although it was common practice to give master tapes back to the original licensor after the rights expired, so they may still lie with TMS or may have been wiped/destroyed. TMS' version of the opening sequence. 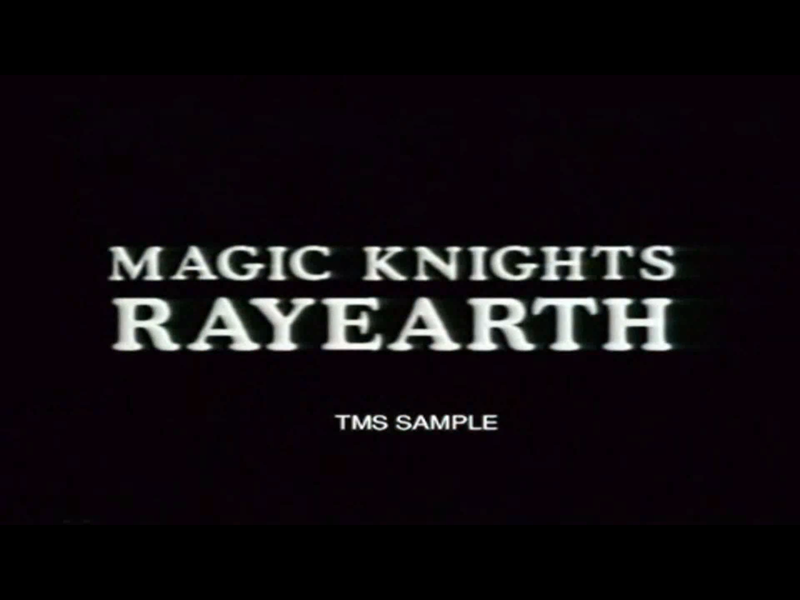 TMS's Magic Knight Rayearth preview. ↑ Sarah-Anne Dafoe. Retrieved 07 Sept '17. ↑ Usenet posting, Google groups archive. Retrieved 25 Nov '13.